Ernest Rutherford (born as Brightwater, New Zealand (also known as 1st Baron Rutherford of Nelson)), he is also known as 1st Baron Rutherford of Nelson, was a famous Psychologist from New Zealand, who lived between August 30, 1871 and October 19, 1937. He became 66 years old. 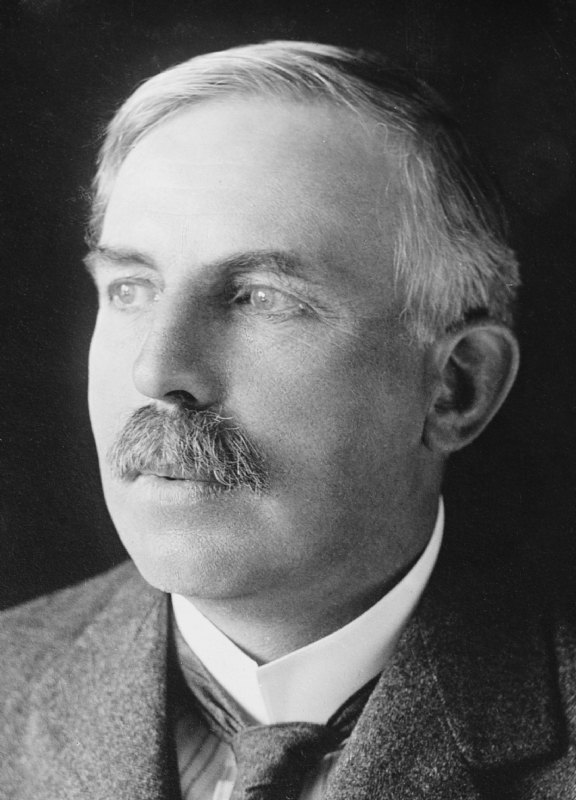 Ernest Rutherford is known for having launched a new atomic model with a central nucleus and the electrons that orbit around it. The model was based on the gold foil experiment conducted by his close colleagues Ernest Marsden and Hans Geiger in 1911. In 1919 he discovered that the nucleus contains positively charged protons. He developed Rutherford's atomic model. He was awarded the Nobel Prize in Chemistry in 1908. He came to Britain in 1895 for advanced studies at the Cavendish Laboratory, University of Cambridge. After his studies he went in 1898 to McGill University in Montreal, Canada (the "Chair of physics"). It was here that he did work that led to the Nobel Prize. In 1907 he returned to Britain and a similar position at the University of Manchester. In 1917 he was back at the Cavendish Laboratory Director. In his office here, it was awarded several Nobel prizes to employees: Chadwick for having discovered the neutron, Cockcroft and Walter of nuclear fission with particle accelerator and Appleton for the detection of the ionosphere. Ernest came from New Zealand in 1911 and did an experiment where he found that Thomson's atomic model could not vote. The experiment was to shoot some positively charged particles at a thin gold foil. They had great speed. Rutherford assumed that all the particles would go straight through the gold atoms, much like bullets we shoot through the paper. He was very surprised when some of the small particles were greatly deflected and some bounced back. He had to create a new model of the atom. He understood that there can be such that the mass of the atom is evenly distributed throughout the atom. He thought that most of the atom is empty space, but it contains a tiny dense nucleus with positive charge. The electron, which has negative charge, moves around this positive nucleus. Later he found that the nucleus consists of particles. The particles that Rutherford discovered, has a positive charge and are called protons. We can not see atoms directly, and we are therefore dependent on other methods to create a model of atoms. Because Rutherford found a way to create a sort of picture of how it looks inside the atom, the experiment was his fame. He discovered the neutron. In addition to receiving the Nobel Prize in chemistry, he also made a Knight in 1914. He is born under the zodiac virgo, who is known for Analyzing, Practical, Reflective, Observation, Thoughtful. Our collection contains 4 quotes who is written / told by Ernest. "If your experiment needs statistics, you ought to have done a better experiment"
"Of all created comforts, God is the lender; you are the borrower, not the owner"
"You should never bet against anything in science at odds of more than about 1012 to 1"